Fiji’s Department of Environment has approved two key permits for Lion One Metals’ (TSXV: LIO; US-OTC: LOMLF; ASX: LLO) high-grade Tuvatu gold project, about 50 km south of Vatukoula, the country’s oldest operating mine. Green-lighting the project’s construction and operation environment management plans allows Lion One to develop a processing plant, build a mine underground or from surface, construct roads and infrastructure on site, as well as tailings, pipeline and water management facilities, and follows the government’s approval late last year of Tuvatu’s environmental impact assessment. Earlier this year the company also signed a 21-year surface lease agreement with Fiji’s iTaukei and Trust Board. The agreement was reached in May after nearly three years and more than 200 consultations and meetings with local communities and landowners. Lion One’s 100%-owned Tuvatu gold deposit near Nadi on the Fijian island of Viti Levu is about 15 km from the Nadi International Airport and about 35 km along trend from Vatukoula, which has produced an estimated 7 million ounces of gold over a 75-year period. In the first half of this year, Vatukoula produced 19,100 oz. 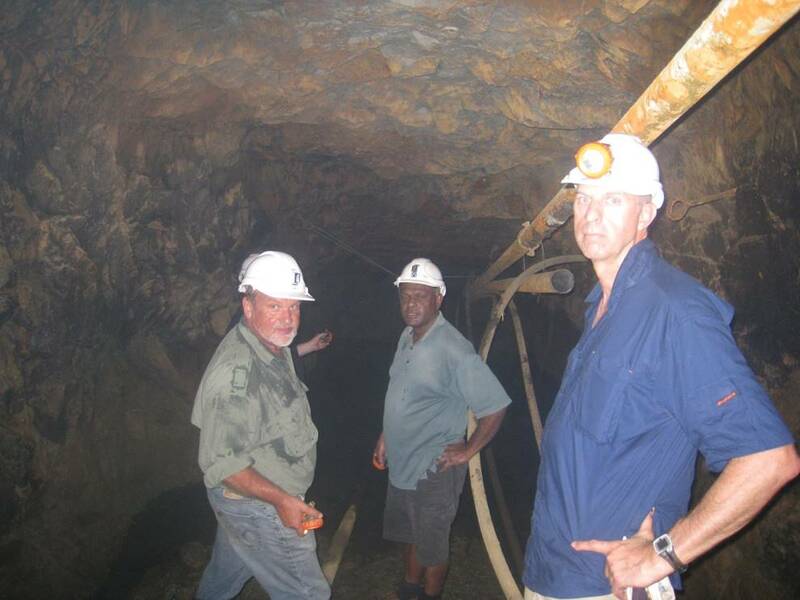 gold and is owned by Vatukoula Gold Mines (AIM: VGM). The company’s largest shareholder is China’s Zhongrun International Mining Co. and at the end of May, the board announced that it wants to delist and become a private company. Both Tuvatu and Vatukoula are low-sulphidation epithermal gold deposits related to alkalic volcanic intrusive complexes. Currently Lion One is undertaking additional studies including two independent processing plant studies, a mine plan and development study, as well as geotechnical studies for the potential tailings dam facility and processing plant. Each of the studies is expected to wrap up by December. In June Lion Ore updated the resource estimate for Tuvatu, increasing indicated resources by 90% and inferred resources by 31% from the previous estimate completed in 2010. Indicated resources now stand at 1.1 million tonnes grading 8.46 grams gold per tonne for 299,500 ounces of contained gold and inferred resources of 1.51 million tonnes grading 9.67 grams gold per tonne for 468,000 ounces of contained gold. The updated resource was based on a 3.0 gram gold per tonne cut-off grade and most of the resource lies within 200 metres of surface. Lion One says a “high proportion” of the deposit’s gold mineralization occurs as either free gold amenable to gravity processing, or is contained in quartz or pyrite composite particles that can be extracted by simple flotation followed by leaching. The free gold is both fine and coarse grained. The deposit is hosted in a sequence of volcanic units intruded by a monzonite intrusive complex with the gold mineralization dominantly hosted in the monzonite units but also in the adjacent volcanics. Lion One completed a merger in June 2013 with Avocet Resources and is focused on gold, iron ore and uranium projects in Fiji, Australia, and Argentina. North Vancouver stock promoter Walter Berukoff, founded Lion One and is the company’s chief executive officer and its chairman of the board. Prior to setting up Lion One, Berukoff founded two junior mining companies: Miramar Mining Corp and Northern Orion Resources. Both companies were acquired by majors after Berukoff left. Newmont Mining (TSX: NMC; NYSE: NEM) bought Miramar in 2007 for about $1.5 billion and Yamana Gold (TSX: YRI; NYSE: AUY; LSE; YAU) acquired Northern Orion the same year for about $1.07 billion as part of a three-way merger with Meridian Gold. In addition to Lion One’s Tuvatu project, the company holds two prospecting licences on the Fijian island of Vanua Levu, joint ventures on gold and uranium projects in Argentina’s Chubut province; and is advancing its Olary Creek iron project with joint-venture partner Henan Yukuang of China in South Australia. Olary Creek is situated on the Braemar Iron Formation about 70 km southwest of Broken Hill and has indicated resources of 214 million tonnes grading 26.3% iron and an inferred resource of 296 million tonnes averaging 26.4% iron. Joint-venture partner Henan Yukuang is a subsidiary of Henan Yukuang Resources Development Co. in the Chinese city of Zhengzhou. Henan Yukuang International holds mineral rights in over 140 gold, silver, copper, niobium-tantalum, antimony and molybdenum projects in 20 countries.